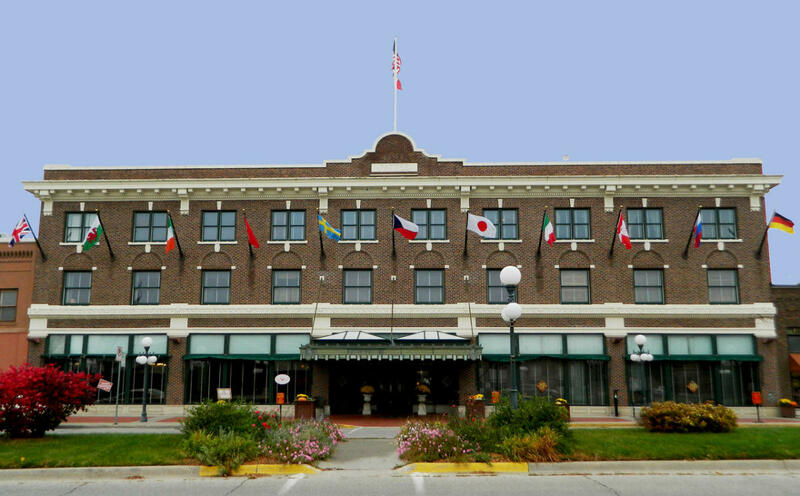 A historic destination unto itself, the Hotel Pattee is a short drive from Des Moines. A 100+ year old historic and boutique hotel that has been renovated to the tune of over $12 million dollars. 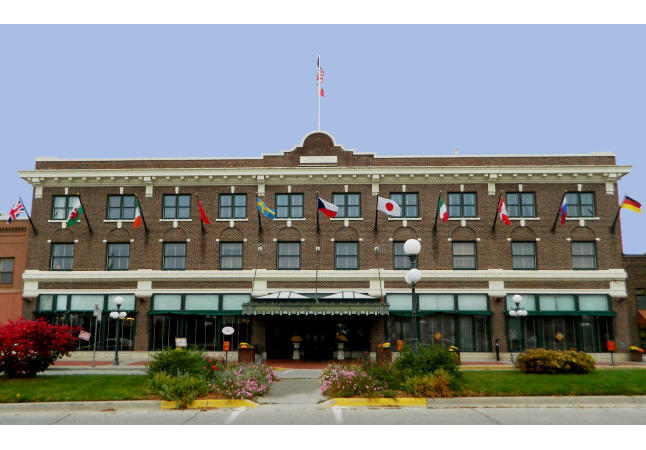 40 individual themed rooms, in-house bowling alley, full service spa, dining room/lounge and over 4,000 sq ft. of meeting space including one of the most elegant boardrooms in Iowa! Family owned and operated by the Hartz's. Additional Notes: Full Service Spa on site. Description We have a variety of different meeting rooms along with access to several thousand sq feet of professional space right next door to the hotel. We are also just a few blocks away from LaPoste which is the 1913 Post Office which has been renovated into meeting/exhibit space.